Each school day I make my kids a fun lunch. My goal is for them to exclaim, “I Love School”, when I show them the lunch. Of course, I’m happy if they just stop complaining about waking up at 6:00am. 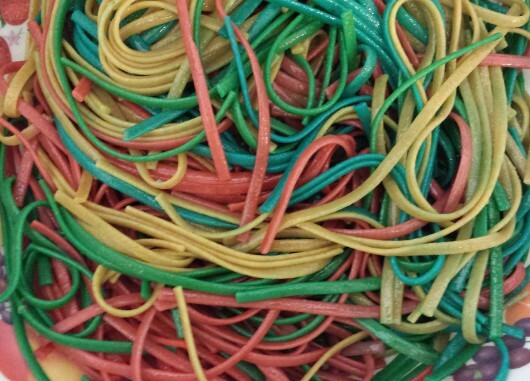 This week we made rainbow pasta. 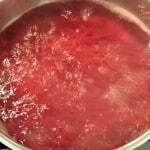 It was very simple and a crowd pleaser. It did require me to wash a few pots afterwards, but was worth it for the smiles I got from my kids! 2. Add pasta and follow the cook time instructions on box. 3. 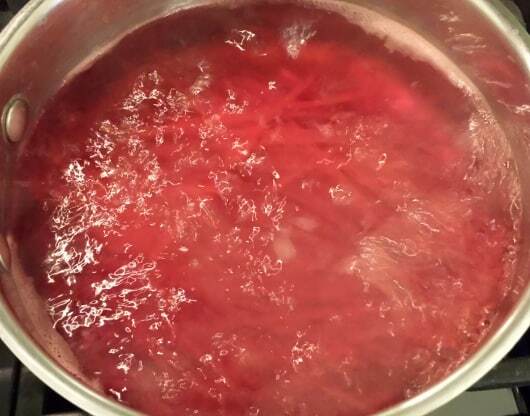 Strain water and rinse of extra color. 4. 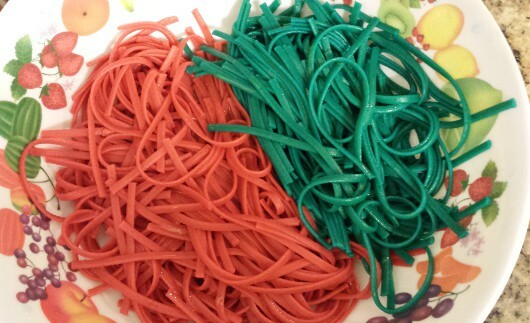 Let colored noodles sit separately while excess water drains. 5. 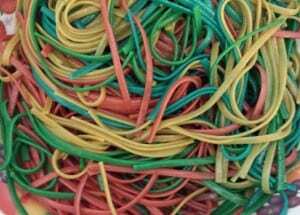 Add some olive oil and salt and mix colored noodles together. I served the noodles with just the oil and salt but pasta sauce would be okay. Using white noodles would probably make the colors brighter but the whole grain noodles worked surprisingly well. 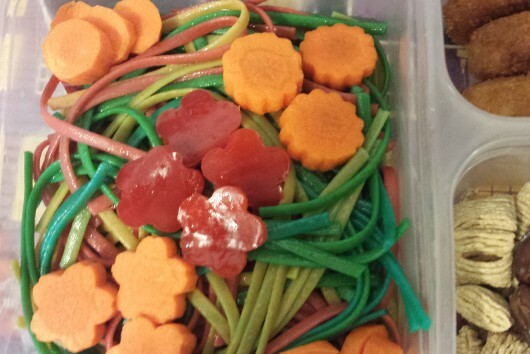 I added carrots and peppers to the pasta and made some flower shapes with these Vegetable Cutters . The lunch was very popular and requested for much of the week. Now I’m off to Pintrest to figure out what to make next week!